During the CMO Club Fall Summit, marketers shared how they balance data (math) and storytelling (magic) in order to create exceptional customer experiences. Sitting amongst some of today’s leading marketers at a breakout session during The CMO Club’s Fall Summit, the quiet magic of marketing re-emerged. While digital has unlocked tremendous value and the potential to measure ROI (for every function) through Big Data and analytical tools, great marketers have always known that the customer can’t be reduced to a single algorithm or predicted by a set of data points. Customers are moving targets who make decisions with their heads and their hearts. That was the message encapsulated by Richard Kylberg, VP, Marketing and Communications at Arrow Electronics. Meanwhile, Opher Kahane, CEO & Co-Founder, Origami Logic, added that striking the balance between math and magic is important – that the best marketers know how to mine data and optimize their efforts in order to create exceptional customer experiences. Integrate your disparate data (across marketing, IT, channels, media and so on) into a single overarching view of the customer, and then structure messaging and campaigns through an omnichannel customer perspective. This ability to create a smart view of the customer, learn faster from its customers than its competitors do, and convey compelling and timely brand stories that are targeted and personalized, is a sustainable advantage. The math and magic of Pokémon GO is especially ingenious in this regard. By mining years of geolocation data from Google maps and other location data, the developers of the augmented-reality mobile game layered on a human connection by tugging on consumers’ nostalgia for the cartoon, games, toys and cards of the 1990s. In doing so, the now-iconic brand has created an exceptional customer experience and transformed the bond with its initial customer base while forging relationships with new and potential customers. During the discussion, marketers continued to stress the importance of creating an environment in which experimentation and innovation are the norm. CMOs also said they derive insights from experimental data to guide intuition and future experimentation, further contributing to the smart view of the customer and rapid product innovation. All marketers want to be able to tie marketing activities back to sales. Certainly, there are no dearth of revenue attribution models and tools made to precisely measure just that. However, the discussion also fell to the difficulty of measuring brand magic and lifelong loyalty with a precise ROI. While this may be counter-intuitive to those who’ve subscribed to the idea that marketing should be more precise and scientific, the best teams are able to balance what can and can’t be measured so as not to lose the magic in what they’re creating. They’re prepared to let instinct guide their efforts – to a point. 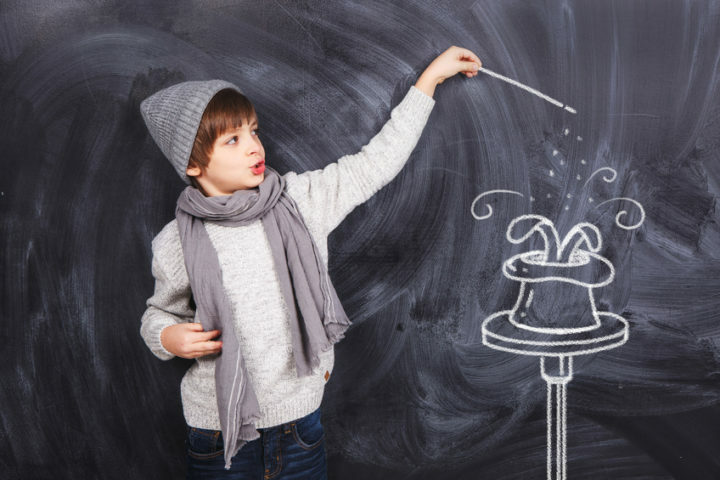 The most effective marketers complement their quest for ROI with a similar commitment to marketing magic. We ended the conversation by reminding ourselves of the true point that innovation isn’t strictly art or science. We must combine compelling storytelling, indelible images and intuition – the magic – with the analytic tools and digital information – the math – to optimize their efforts and create truly exceptional customer experiences and lifelong loyalty. Denisha de Mos is a curious-minded and customer-obsessed marketer, focused on ideas at the intersection of design and technology. Throughout the years, she has lent her expertise to successful business launches, Fortune-100 rebrands and digital marketing campaigns for both B2C/B2B brands.